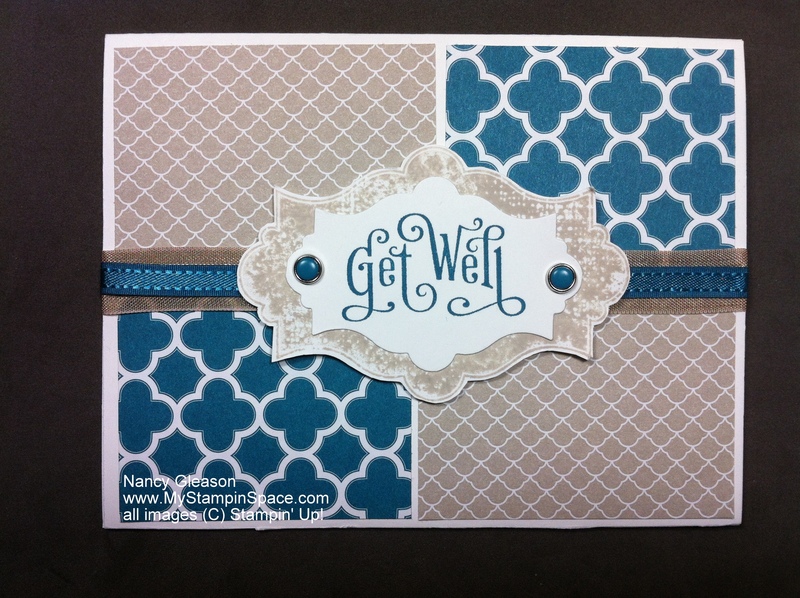 I needed a get well card for a man so I wanted something clean & simple and with masculine colors. Sahara Sand and Island Indigo DSP pair up beautifully for a wonderful color combination that’s masculine but not drab. 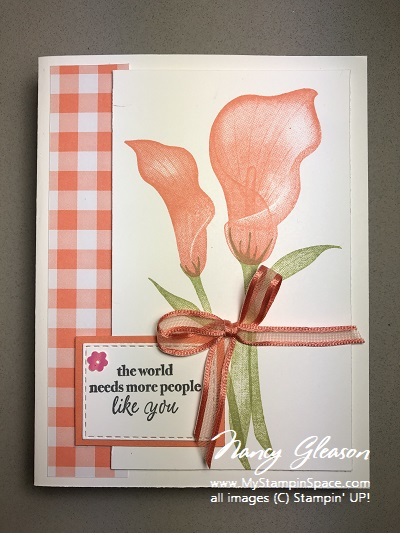 “Everything Eleanor” and “Perfectly Penned” were the stamp sets I used. 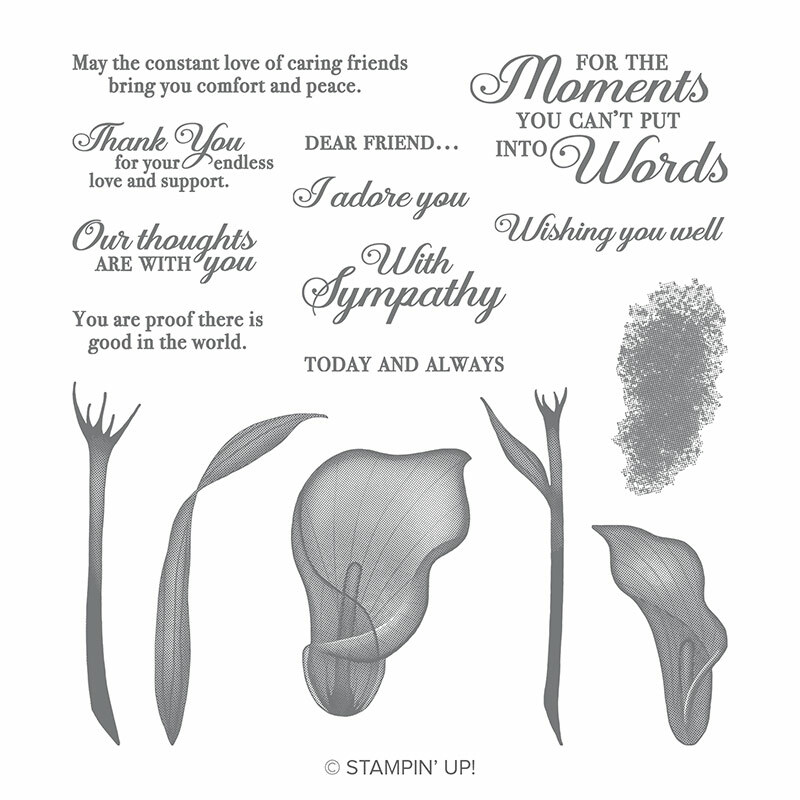 I stamped the background in Sahara Sand ink on whisper white cardstock; my paper snips made easy work to accurately cut this out. The Get Well sentiment was stamped in Island Indigo ink onto Whisper White paper. 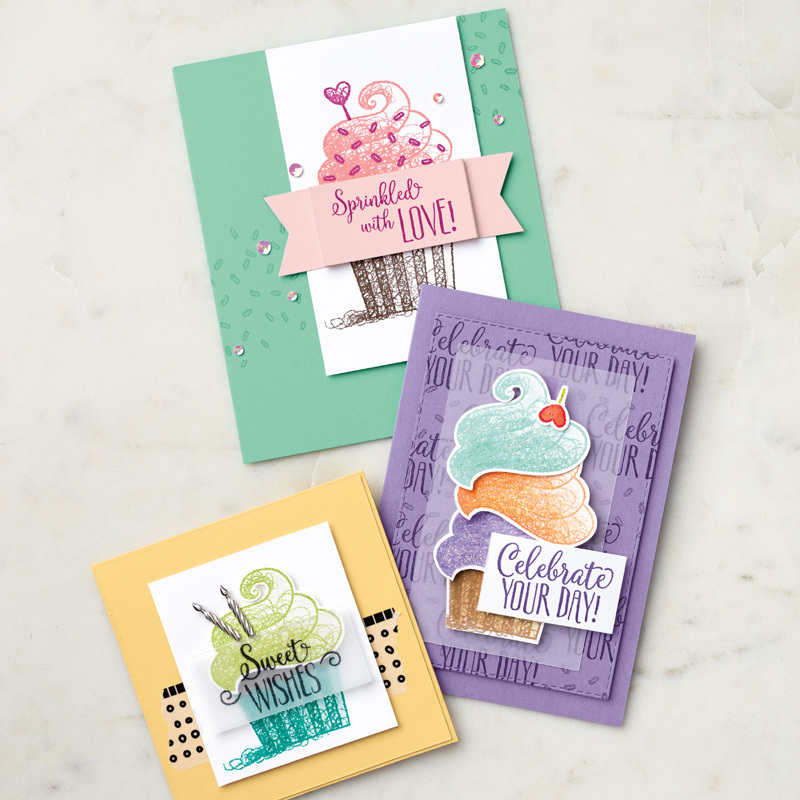 The Apothecary Accents framelits popped out that die cut shape in no time. I used the Candy Dots in Island Indigo (Regals Collection # 130932) and the Candy Dots Brad Bases to accent the die cut shape and sentiment. They really add a finished touch, don’t you think? You can click on any of the underlined items listed above and be instantly and magically transported to my on-line store where you can purchase that featured item along with anything else your heart desires! If your order totals $150 or more (before shipping & tax) you will even earn bonus dollars so you can maximize your purchasing power – that’s right. More power to you! 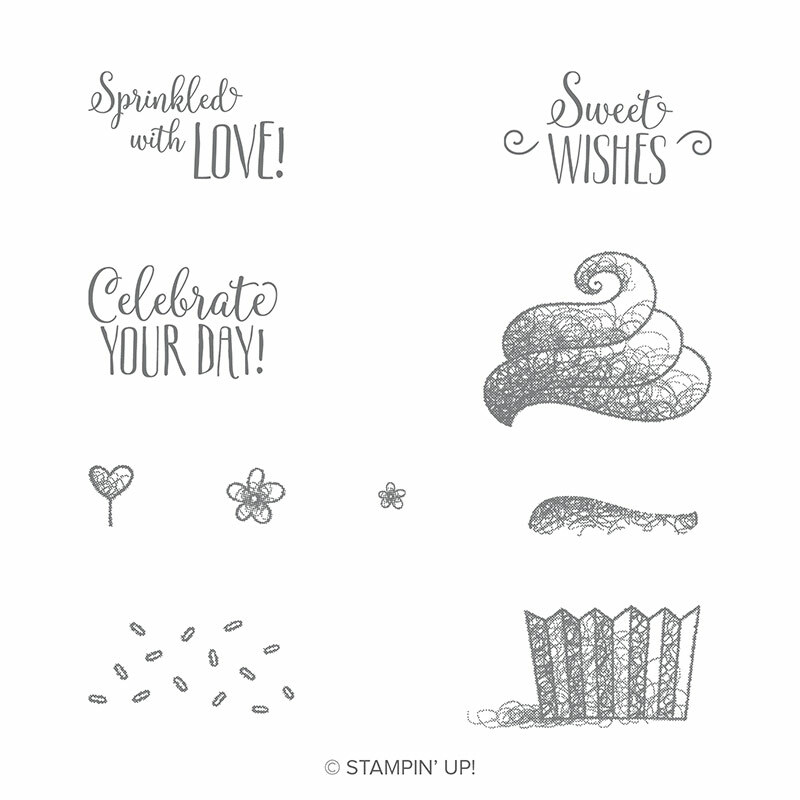 Thanks for stopping by My Stampin’ Space. 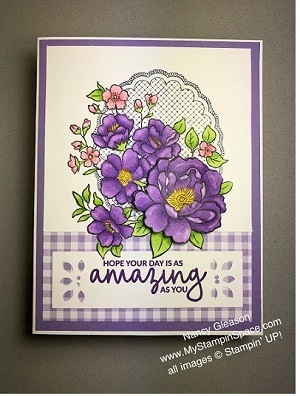 I hope this simple layout and color combination inspired you when you need to make a masculine card, or just want something quick that doesn’t take alot of time. 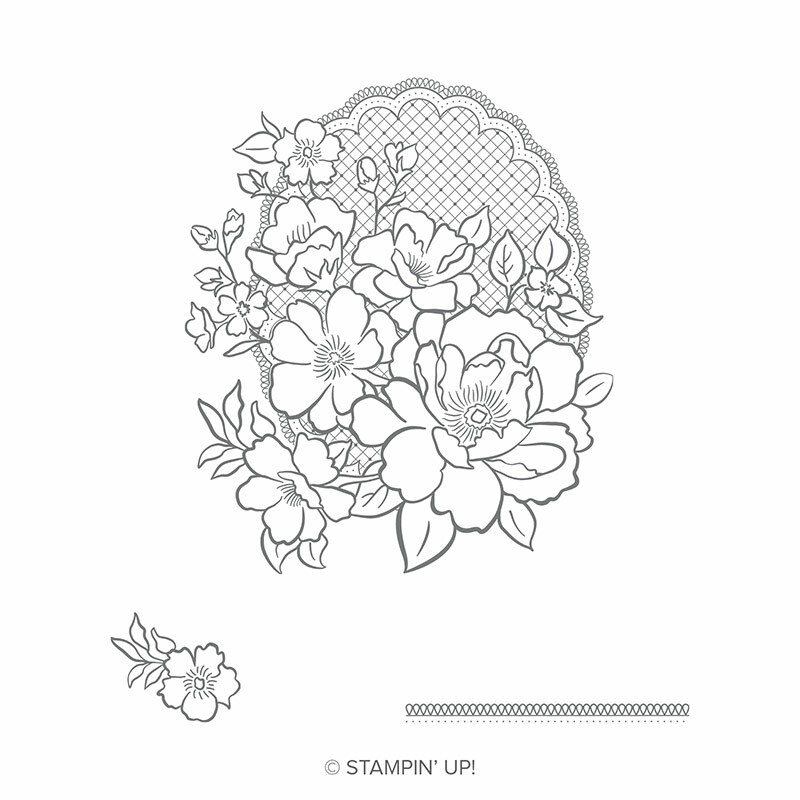 Please leave me a comment, and come back to My Stampin Space again! 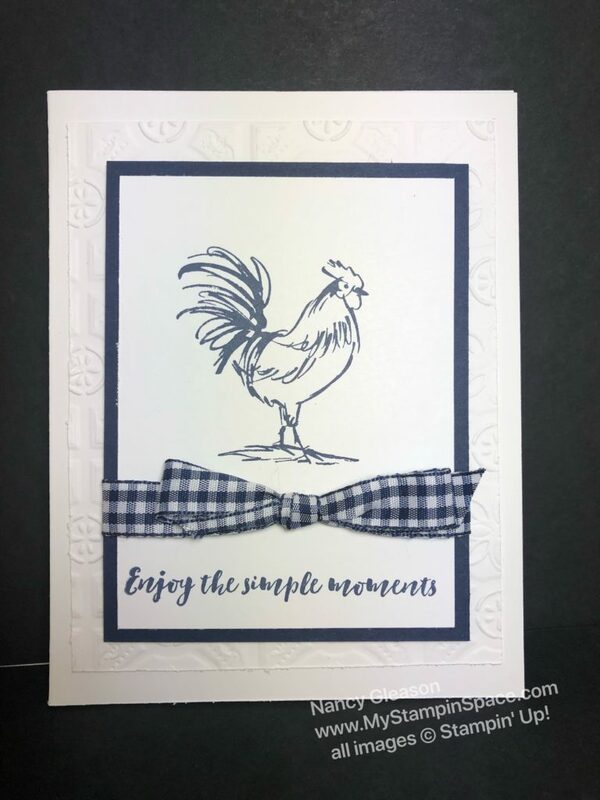 Posted in Clean and Simple, Masculine & Manly, Quick & Easy	- Tagged Candy Dots, Everything Eleanore, Get Well Cards, Masculine Cards, My Stampin Space, Perfectly Penned, Stampin' Up! 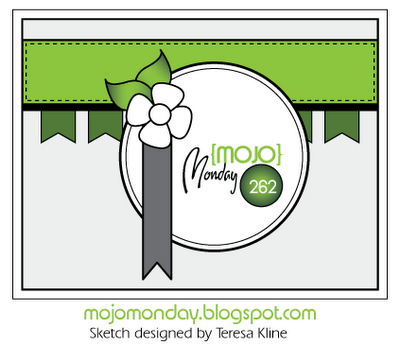 Today is Monday, so it’s time to get my mojo on and play the Mojo Monday sketch challenge. Here is the sketch that the design team over at Mojo Monday created. I had so many ideas run thru my head the second I saw this sketch. 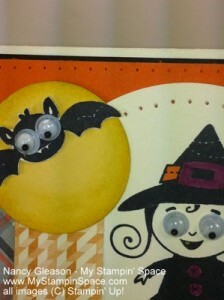 Since I had my Halloween stamps and paper out (for the Pals Blog Hop) I used those. Here is my project – I hope you like it! 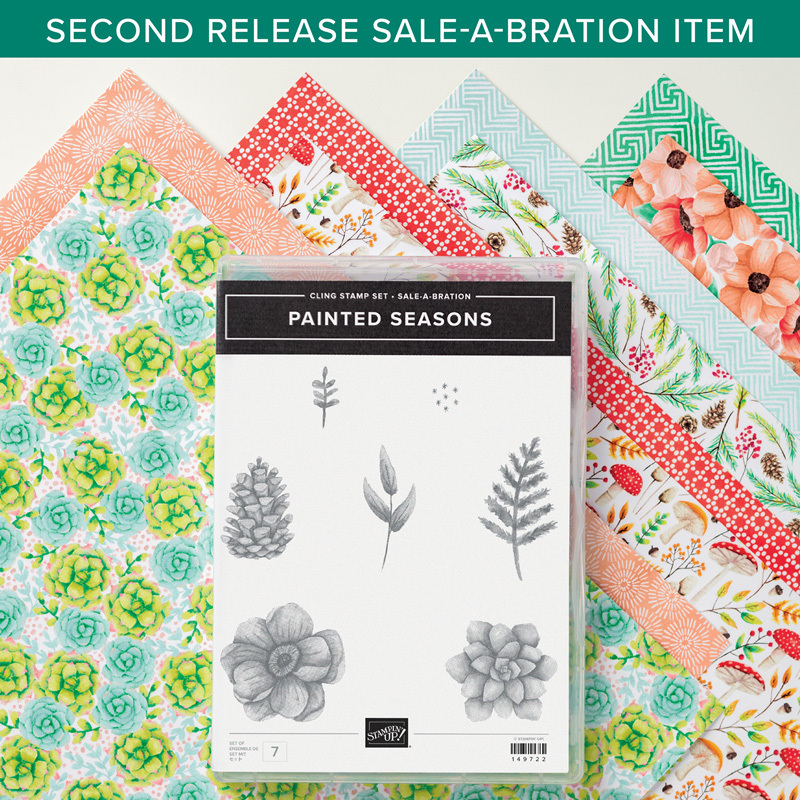 This sketch is a great way to use those little scraps of DSP that I always seem to accumulate but don’t want to get rid of (and I’m sure you have them too!). 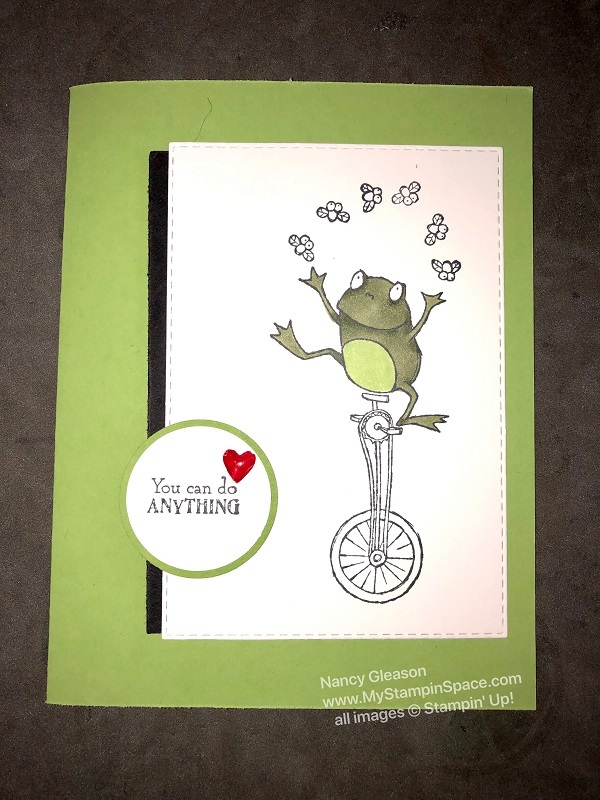 My card base is Very Vanilla cardstock with Basic Black layered on top of that. 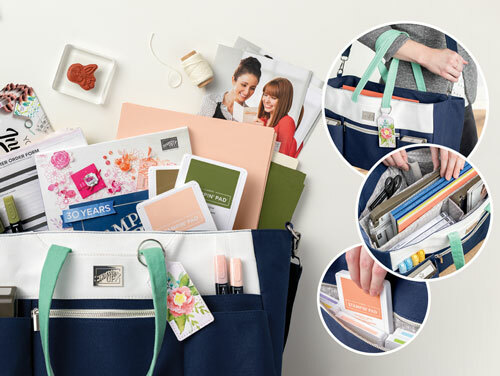 A strip of Tangerine Tango crosses the top and acts as anchor for all the flags to hang from. A circle of Very Vanilla acts as the canvas for my witch from the Googly Ghouls stamp set. Both of those pieces have been pierced for added interest and texture. You can see that better in this close-up. I punched a circle in So Saffron and sponged Daffodil Delight around the outer edges to create shading. The little bat flying over the moon adds to the ominous feeling! I also used Rich Razzleberry, Pumpkin Pie, and Lucky Limeade markers to color in parts of my little witch. 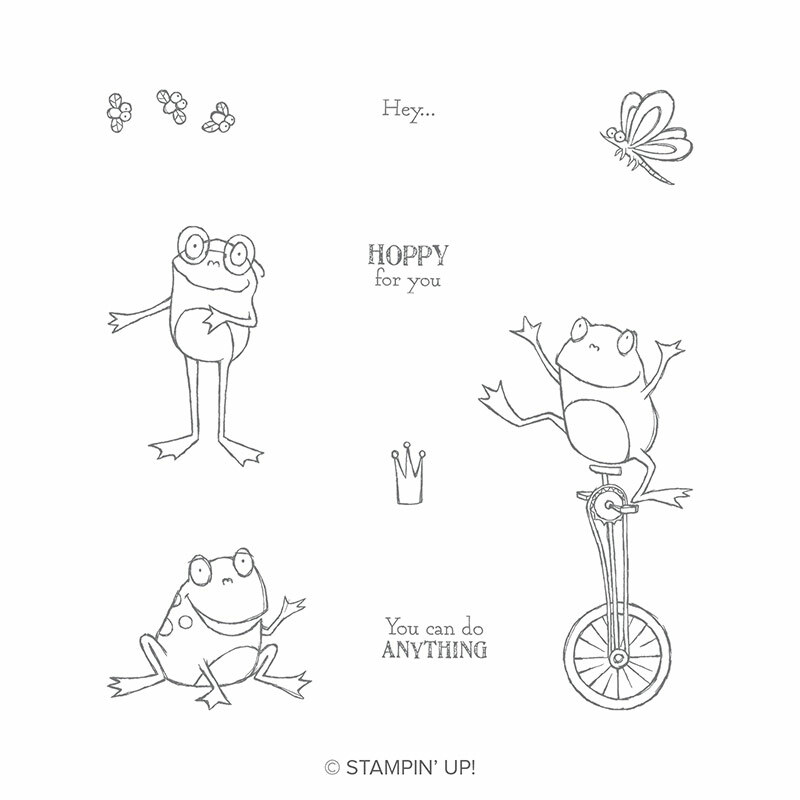 The Googlie eyes just make the images in this stamp set so adorable! Nothing frightening here! If you like what you see, please leave me a comment. You can even sign up to for my newsletter or to follow my blog so you don’t miss a post. 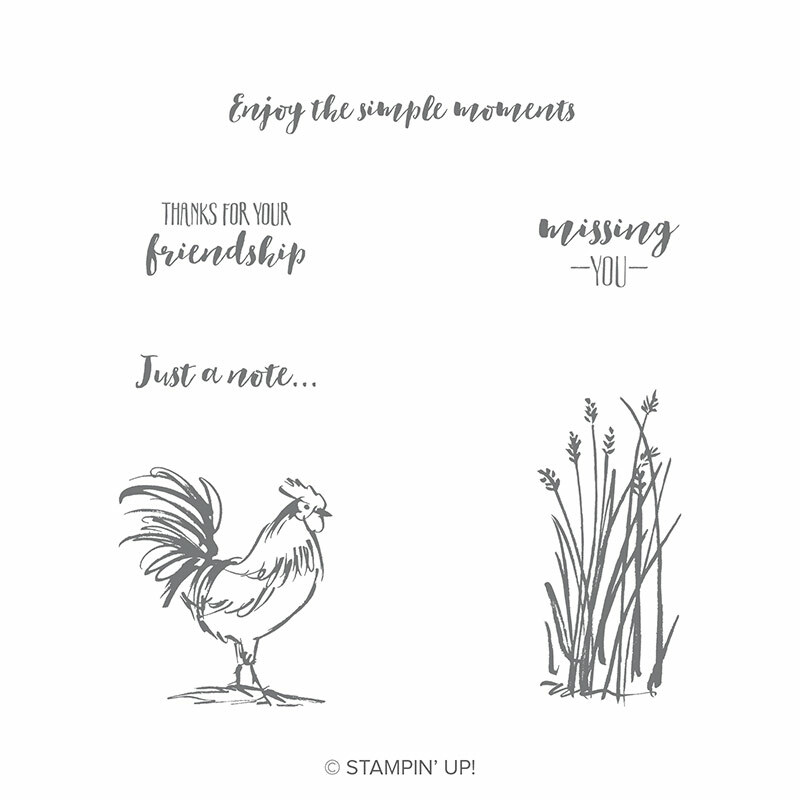 Thanks for stopping into My Stampin’ Space! I hope you were inspired to get your mojo on and try your hand at making a project using your scraps of DSP and this sketch. 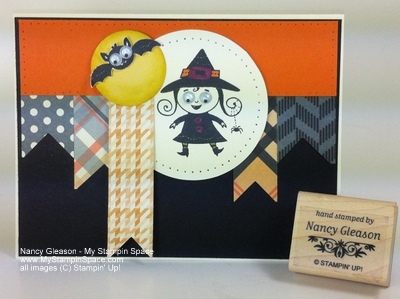 Posted in Halloween, Holiday	- Tagged cardmaking tutorial, Googly Ghouls, Halloween, Howlstooth & Scaringbone DSP, Mojo Monday 262, My Stampin Space, Stampin' Up!